In Hinduism, a Sadhu is a “good holy man” who is a religious ascetic or holy person. Although the vast majority of sadhus are yogis, but not all yogis are sadhus. The sadhu is solely dedicated to achieving moksha (liberation), the fourth and final ashrama (stage of life), through meditation and contemplation of Brahman. 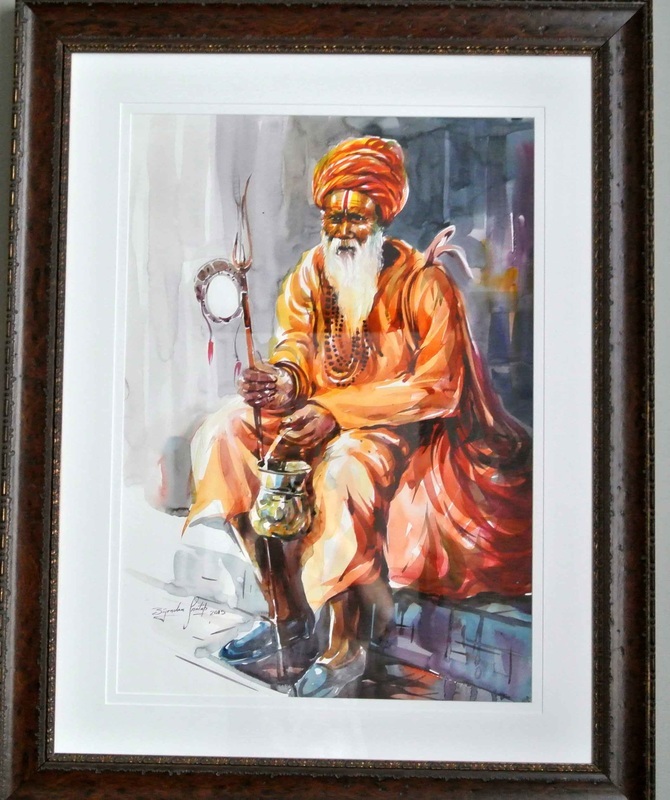 Sadhus often wear saffron-colored clothing symbolizing their sanyasi (renunciation). Sadhus have left behind all material attachments and live in caves, forests and temples all over India and Nepal and is usually referred to as “baba” (or father, grandfather or uncle in many Indian languages) by common people. There are 4-5 million sadhus in India today and they are widely respected for their holiness and sometimes feared for their curses. They are supported by donations from many people. However, reverence of sadhus is by no means universal in India. There are naked sadhus who wear their hair in thick dreadlocks called jata. A popular characteristic of Sadhu ritualism is their utilization of marijuana (known as charas) as a form of sacrament in line with this worship of Shiva who is believed to have an adoration or affinity for the leaves of the plant. 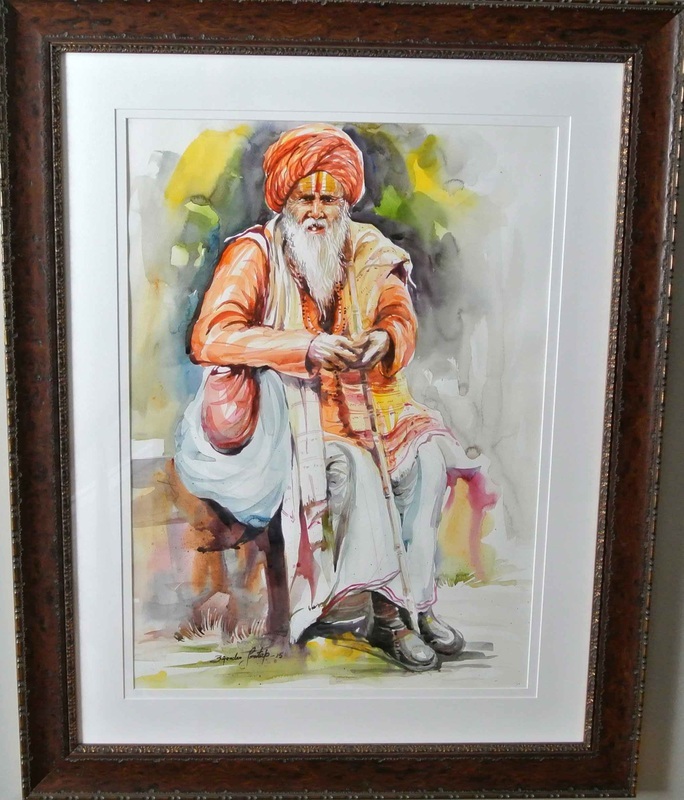 A rising Indian watercolor artist, Brjinder Pratap, has prepared a series of Sadhus that are can be seen around the city of Banaras located along the Holy River Ganges and many other holy places .